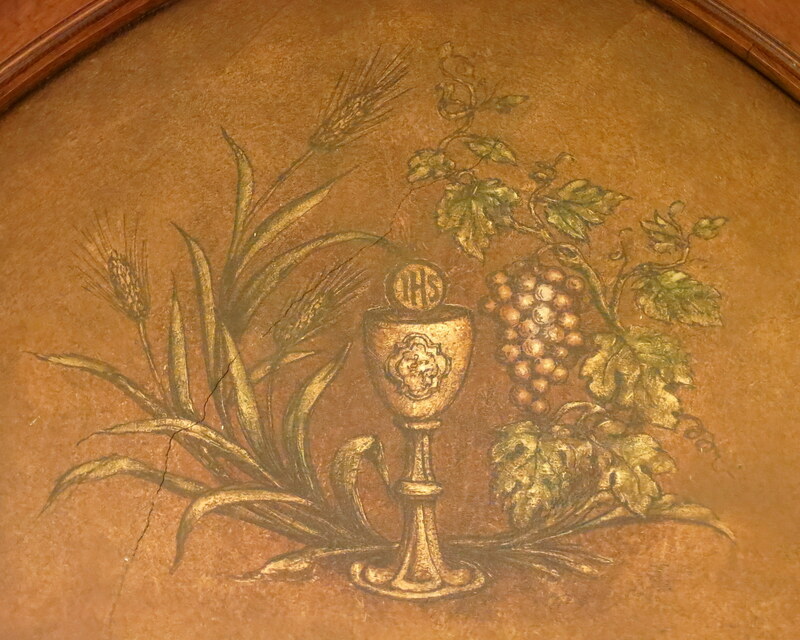 This Sunday and for the next consecutive four Sundays, Jesus Christ and His Church offer us a beautiful and intensive meditation on the Holy Eucharist in chapter 6 of Saint John’s Gospel.Jesus begins His Bread of Life discourse by focusing on the sacrificial dimension of the Holy Eucharist, foreshadowed in His miracle of the multiplication of the five loaves of bread and the two fish.In the Eucharist, Jesus Christ reminds us that He is substantially with us, that Our Lord and Savior is our companion, giving us graces, His Divine help, along the way.Jesus communicates His grace through His Church, Word, Sacraments and prayer – ways that He wants us to know Him personally and to experience His merciful love and His joy. Conversely, where His merciful love is lacking, there is real sadness – an unhappiness that often results from our selfishness, pride and self-centeredness that hinders our giving and receiving love.Pope Emeritus Benedict XVI has said that our sadness is often rooted in our absence of love – the fact that our personal existence is not embraced by a love that makes our existence “necessary.” Our misery arises when we live without a love strong enough to justify our existence no matter how much pain and limitation go along with it.What our heart cries out for is a true companion in whose love we experience how truly necessary and invaluable our existence is.And that true companion is Jesus Christ, who gives us Himself in the Holy Eucharist! The word companion derives from the two Latin words for “with” and “bread.” Companion can be translated “bread-with-us” – the Holy Eucharist! God the Father, Son and Holy Spirit proclaims in the Eucharist that He is not a distant fact toward which human beings strive with great effort.“Rather, He is Someone who has joined man on his path, who has become his companion” (Msgr.Luigi Giussani, founder of the Communion and Liberation religious movement).The Holy Eucharist, which we receive in Mass, is Jesus Himself, where Jesus is truly, really and substantially present (John 6; Matthew 26:26-30; Mark 14:22-26; Luke 22:14-20; Corinthians 11:17-34; Catechism of the Catholic Church #1374 and 1322-1419). In the Sacrament of the Altar, the Holy Eucharist, the Lord meets us and becomes our companion along the way, Pope Emeritus Benedict XVI has said (Sacramentum Caritatis, The Sacrament of Charity, on the Holy Eucharist).True joy, he says, is found in recognizing that the Lord is still with us, our faithful companion along the way – for as Saint Thomas Aquinas has pointed out, no possession is joyous without a companion. Strengthened first and foremost by Jesus Christ in the Holy Eucharist, may we also realize that we experience Jesus Christ’s companionship in our encounters with one another.As we pray for each other, may we continue to contemplate the Real Presence of Jesus Christ during Mass and outside of Mass, growing in our love for God and for our neighbor in the Sacrament of Love, the Holy Eucharist.